If you’re interested in commissary and exchange coupons and other discount opportunities for your next shopping trip at Shaw Air Force Base near Sumter, South Carolina, enroll for an account at MyMilitarySavings.com. Membership is free and allows you access to savings information from a variety of sources, all gathered together into one easily navigated site for your convenience. In fact, we even have helpful links to such sources as the Army and Air Force Exchange Service (AAFES) and the Defense Commissary Agency (DeCA), where you can clip digital coupons to your Rewards Card for hassle-free savings. Plus, we’ll send you our weekly e-newsletter for free with the latest savings information, including links to the most recent Price Connexion and Coupon Connexion. 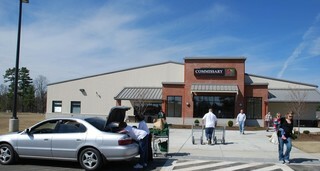 That way, you’ll be able to plan out your next trip to the commissary and exchange before ever leaving your home. If you’d like to learn more about the coupons and other discounts that we offer for military shoppers at the commissary and exchange at Shaw AFB, sign up for your free account at MyMilitarySavings.com today.